A.L.L. celebrates International Women’s Day - A.L.L. insights, news, video and announcements from around the country's school districts. 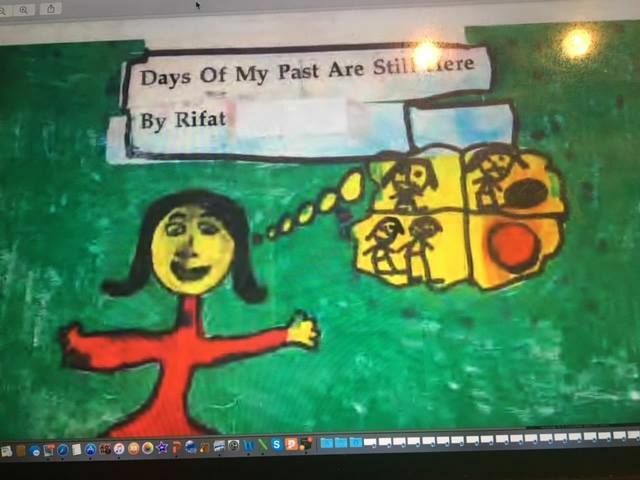 Google and International Women’s Day inspired us to retrieve an impressive book from our files by first grader Rifat, who wrote a personal narrative Days Of My Past. We enjoyed checking out the Google page today in honor of International Women’s Day. Google showcased 12 different short books that celebrate women’s stories from diverse cultures. It inspired us to retrieve an impressive book from our files by Rifat, a first grader, who wrote a personal narrative, Days Of My Past. Here are the first three pages, which are in alignment with International Women’s Day.